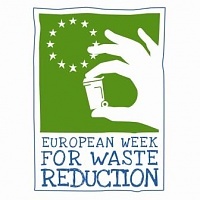 Several local authorities are supporting the 2011 European Week of Waste Reduction (EWWR) with a wide range of local activities. Here is just some of what the local authorities are doing – get out there and support them! 22 November: Garden Swap Shop – A “Tidy Towns Swap Shop” event will be held in Bagenalstown. Public will be encouraged to bring old, unnecessary pieces of equipment, (strimmers, gardening tools), garden furniture etc. All items will be swapped/given to other Tidy Towns groups instead of being thrown away. A WEEE collection is also being organised for the day on-site. 19-27 November: Awareness in Waste Prevention – Activities taking place in Cavan Town – Green Schools Poster Campaign winners to be used for billboard campaign; Campaign about litter through local media – newspapers and radio; Music Youth bands day to raise awareness of EWWR; County-wide Billboard Campaign on Waste Prevention; Facebook awareness to reach youth and Cavan Institute students; Electric Car public session, local media radio interviews with each Local Authority Litter Warden to raise awareness on litter problems. 26th November: Various stakeholders and actors will demonstrate in Fota Wildlife Park actions supporting waste prevention, lowering of dependance on resources, extending the life of goods and avoiding food waste. 19 November: ICA Bootcamp Launch – Bringing a new life to old clothes: Representatives of the network will be showing how easy it is to make clothes last longer including: Hemming, Button & Zip repair, Customising for new life and basic sewing machine skills; A new web page will be launched aimed at encouraging all to pledge to complete a simple waste prevention action. 19-27 November: Launch and promotion of Food Waste = Money Waste internet video which has been produced by Monaghan County Council. 21-25 Nov: The Smoothie Bike – Workshop in 5 different schools that focuses on our consumption patterns and how small changes can make a difference. 19-27 November – Food Waste Awareness – A Flash Mob event will be held in Dungarvan shopping centre to raise awareness of food waste and an environmental awareness campaign involving stands on the EcoCert, Green Business, Anti Litter awareness and promotion will also be held; participation by Green Schools in a competition to design a poster on food waste reduction – winning design will be printed onto a flag which will be raised on the day at the end of the flash mob event.